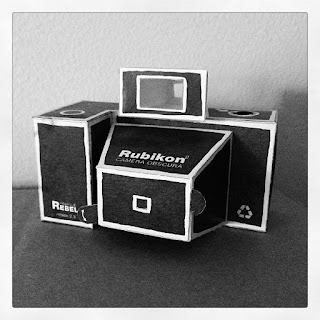 Earlier this spring, my friend Susan & I made a pinhole camera. It's something I've always wanted to do. I found a PDF of a pinhole camera HERE. 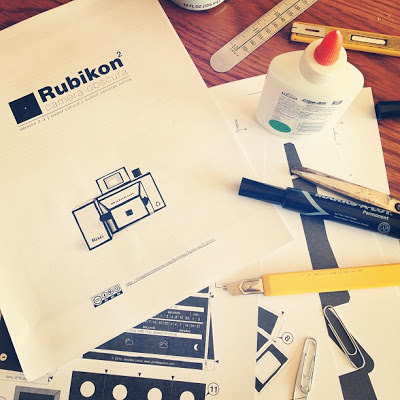 It's the Rubikon 2, by author Jaroslav Jurica. And, I confess, the first time we pieced this camera together it was too small. The film would not fit inside. When printing the PDF be sure to set your printer setting to ledger size 11x17 with no scaling. I can say with confidence that making this little camera TWICE meant that, by the second time around, we were pros. ha! We were bummed to not find black & white film readily available in town. I wonder if I could find it more easily in a bigger-type city? I'm betting I could. Lotsa times the black & white look hides flaws. 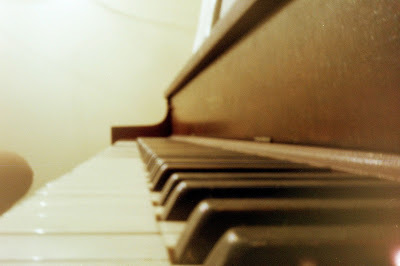 And it looks more artsy besides. But we had to go with color. We started putting together the origami-like camera later in the day, so we didn't have a lot of options for shots in the fabulous natural outdoor light. (We only had one day together!) 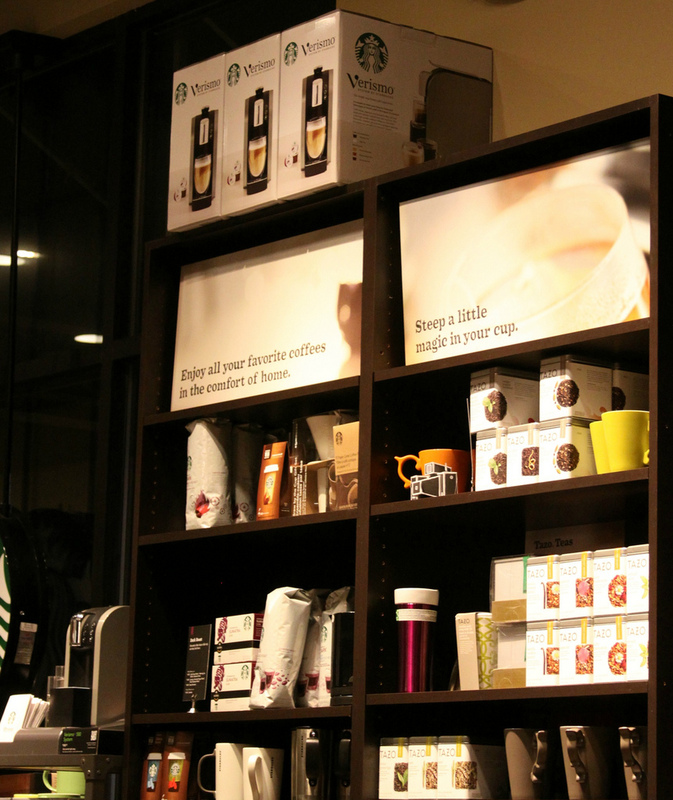 We snapped tons of photos in my house, & then headed to Starbucks for some late-night caffeine & a few more photo ops. Sometimes we had to let the light filter through the pinhole for just a few seconds. 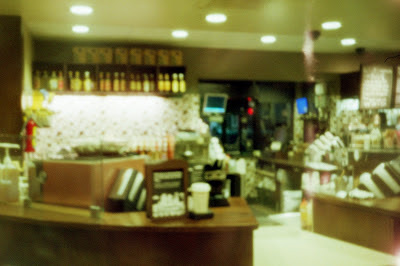 Other times, like the shot of the two coffee cups above, we left the pinhole open for a length of exposure of 7 MINUTES!! The next picture shows the results of that shot. We also set the camera on a shelf in Starbucks. This photo was a mistake, where we took a picture, forgot to wind the film, & then took another photo. And the extra picture on the right was because we didn't wind the film correctly. I found that I rather liked all the "mistake" photos though. This is another example of taking a few photos, & forgetting to wind between shots. The length of exposure was 2 minutes for the piano keys. 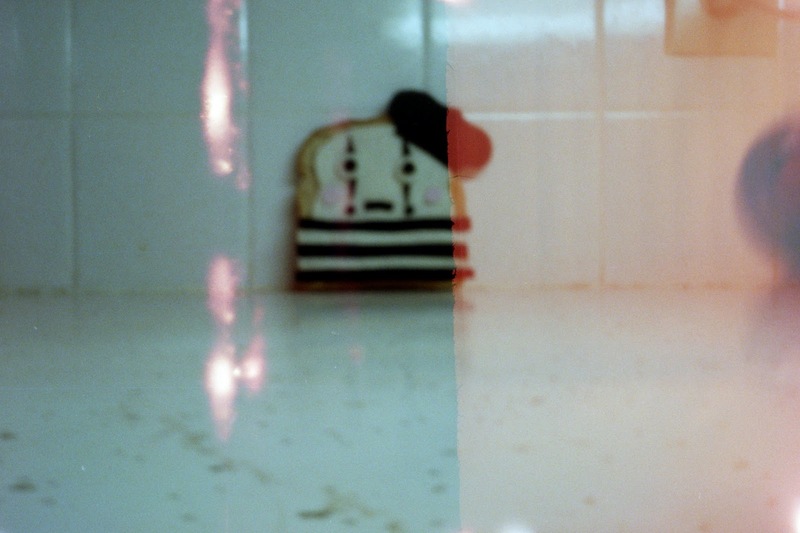 The length of exposure for the mime toast (from a Vine I made) was 6 seconds. 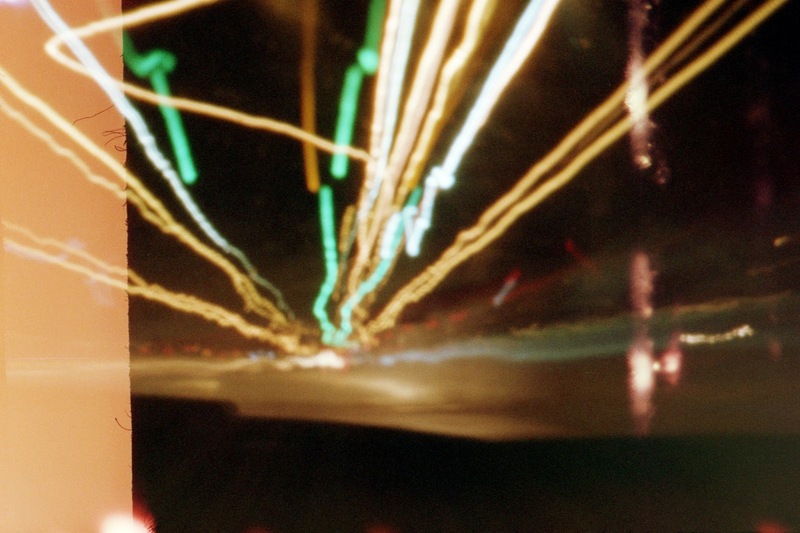 We held the camera on the car dashboard, for an exposure of 2 minutes, while driving home from the coffee shop. When Susan & I got the film back from the lab, we were so impressed with ourselves. "We made pictures from paper & a hole? WE. ARE. AWESOME." 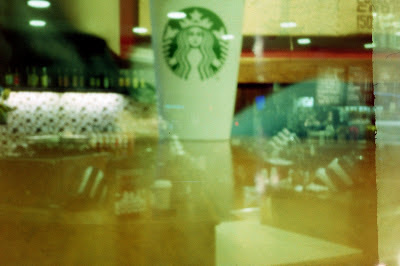 Playing with the pinhole camera gave me lots of confidence to keep at it. 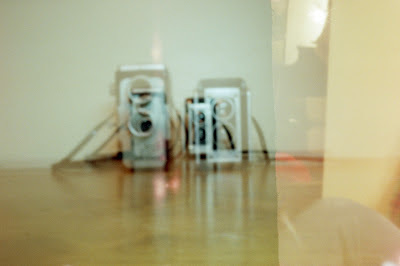 I can't wait to try making different pinhole cameras, & aiming for a more focused, & less blurry, photo. 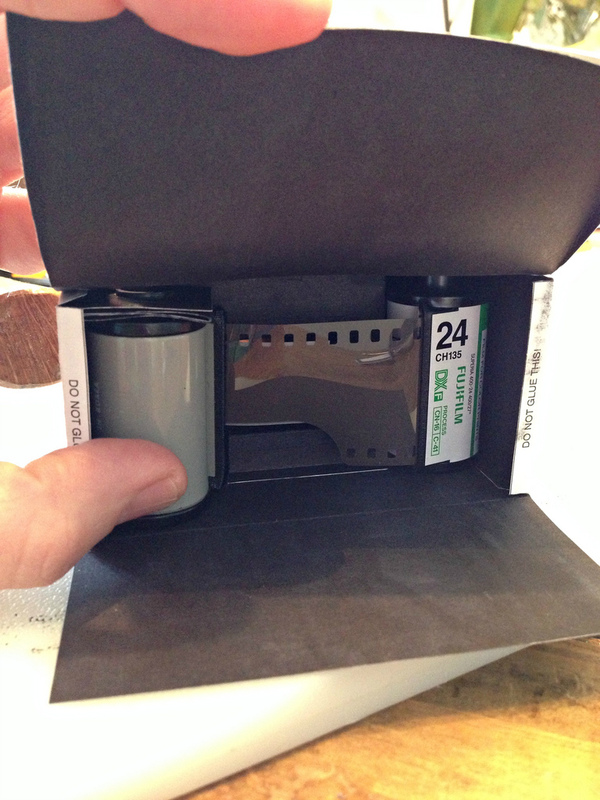 There are tons of tutorials online to show you how to make a pinhole camera. 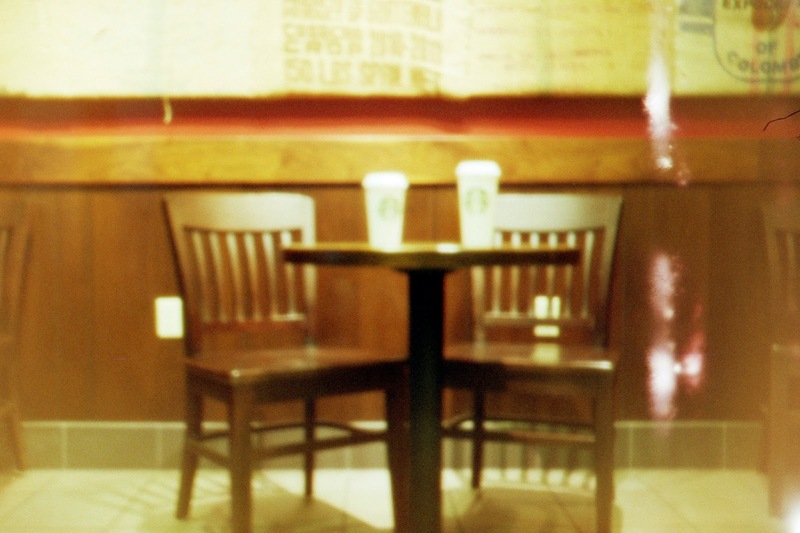 A pinhole camera can be made out of practically anything. All you need is a "box" that is dark & does not absorb light, something to project your image onto, & a tiny hole. I've seen so many creative pinholes out there. (One even made out of a coconut AND a Mr. Potato Head!) 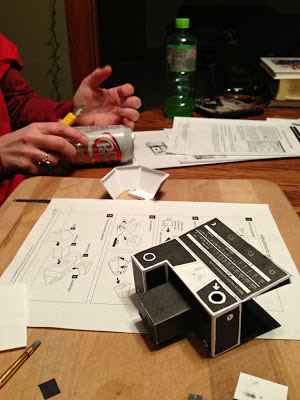 I did a search for "pinhole cameras" on flickr, & found THIS. Browse through the photostream for some inspiration. 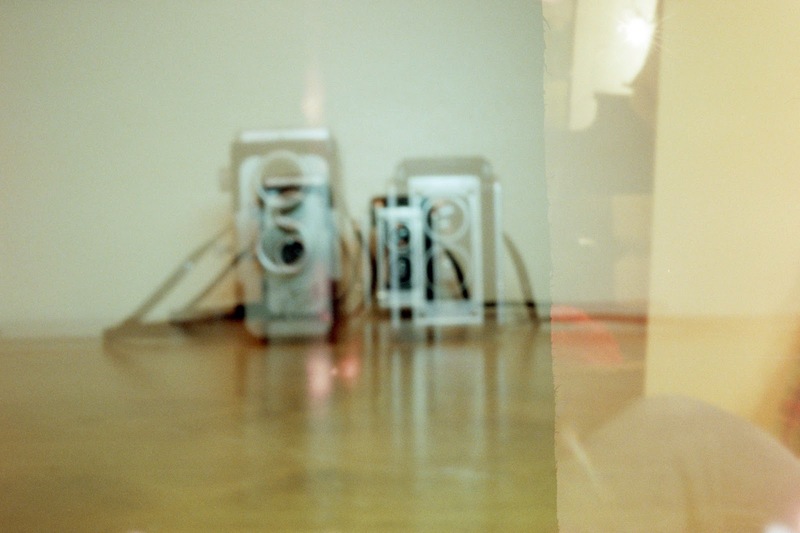 There are even groups on flickr, dedicated to pinhole cameras & pinhole photography. Click HERE for a wikipedia link about the pinhole camera. I'm finding that I really want to do things the "old fashion way". I've recently started trading inch original artwork postcards we've made with an old college friend I haven't seen in years. And we are actually mailing them. 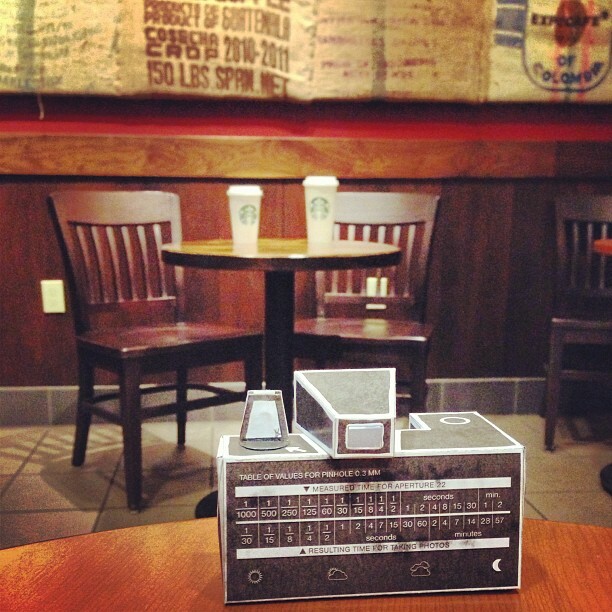 Sad to think that something we used to do a mere 10 years ago is considered antiquated. Wow, this looks like such fun. I might just have to show my teenage son this post. He loves taking photos....might give him a challenge. Thanks for sharing the links.